Up and Down the River. (The 3rd book in The Fairchild Family Serimes). Bonnie and Debbie's desire to get rich causes them to respond to a sure-thing magazine advertisement. They are soon embarked upon an ambitious summer of selling "up and down the river." Not that circumstances end quite in the way they had imagined! In a surprising flurry of trading, the girls somehow accumulate wealth in the form of unexpected friends, assorted animals, and unforeseen situations, even as their collection of dimes and dollars seem always to be slipping through their hands. 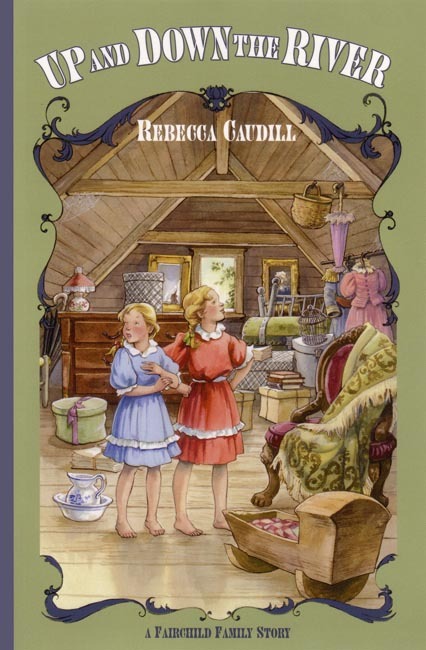 Bonnie and Debbie Fairchild occupy center stage in this story of a summer season in the lovely hills of Kentucky of the early 1900s. This is Book 3 in the Fairchild Family series. Dimensions: 5.5 x 8.5 inches. Soft cover. 143 pp.